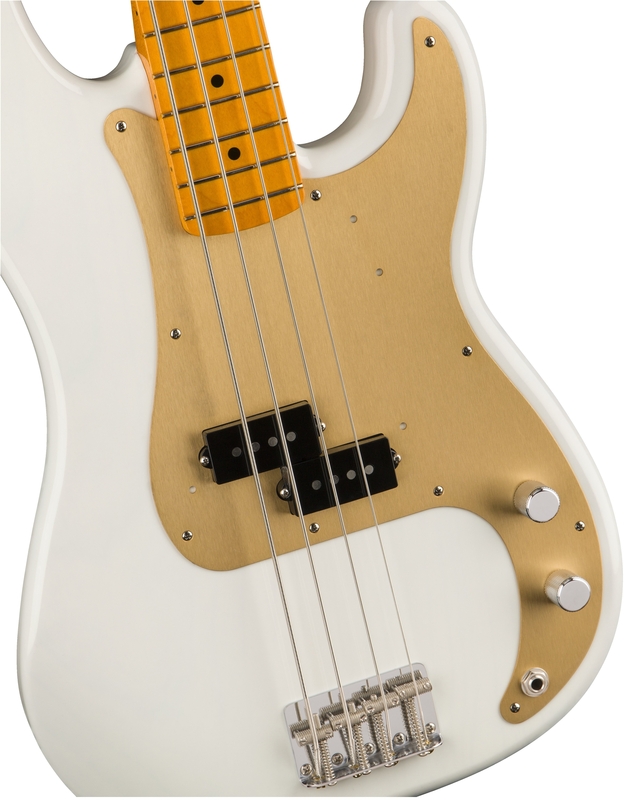 For bassists who prize original-era Precision Bass sound and style, the Classic Series '50s Precision Bass Lacquer is a must-have instrument. 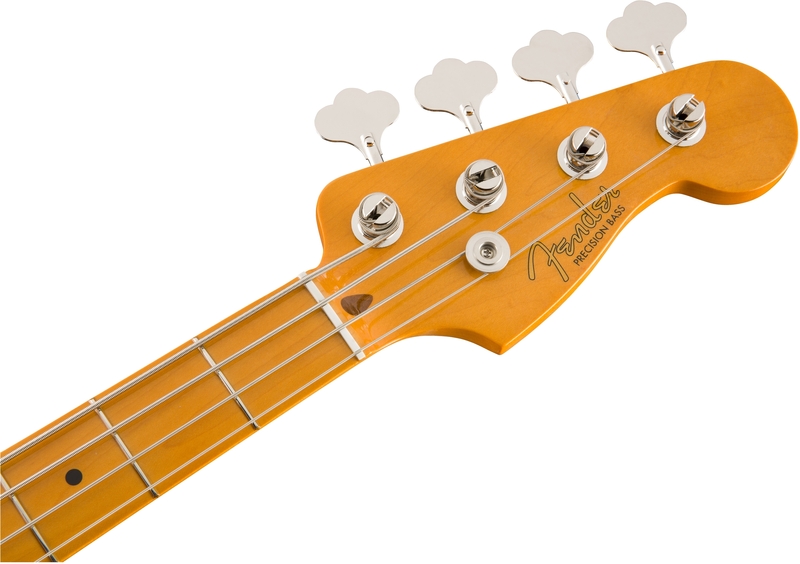 Throughout the 1950s, the Precision Bass was the only Fender bass, and this model gives you the design from later that decade that has been the world's most recognized electric bass guitar form ever since. 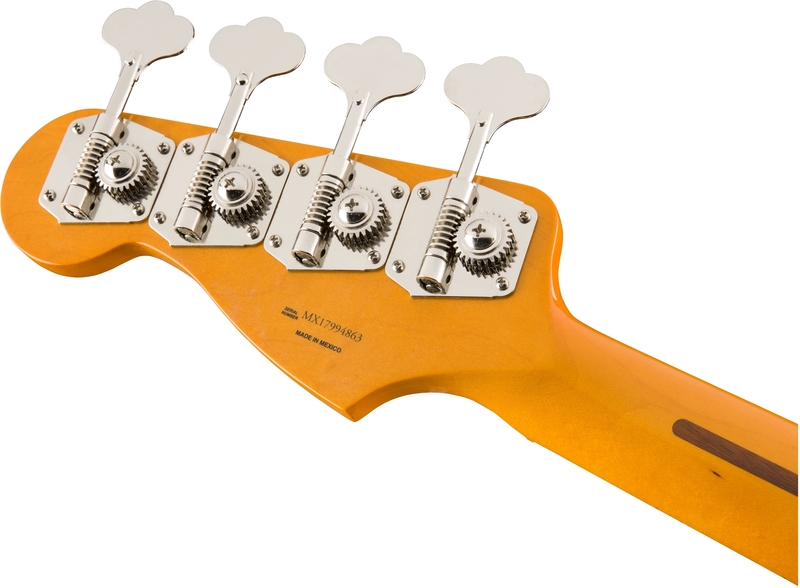 Delivering powerful punch and great value, this is a great evocation of a profoundly influential instrument, with authentic touches including a gold anodized pickguard, reverse tuners, and a gloss nitrocellulose lacquer finish. 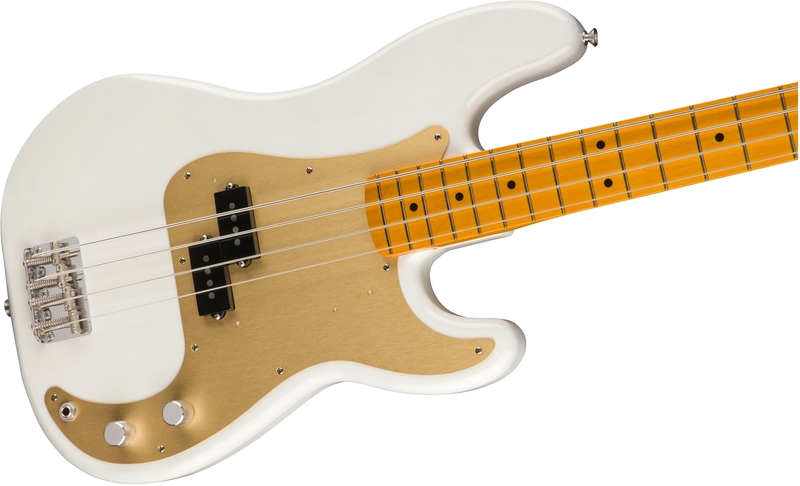 Pure and simple, this instrument features classic vintage styling that evokes and honors the timeless Fender basses that came before it in the 1950s, ’60s and ’70s. 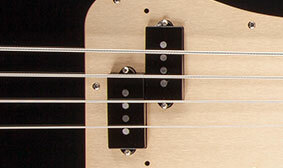 From the rear strap button to the top of the headstock, it’s the very essence of classic vintage Fender bass design. 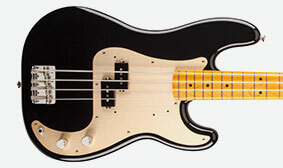 A major part of the vintage-style sound, look and appeal of this bass is its vintage-style pickups, which deliver pure bass tone, power and performance evoking the great Fender basses of the 1950s, ’60s and ’70s. 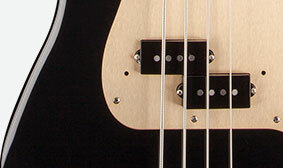 Nitrocellulose lacquer is one of the great original-era Fender electric guitar finishes, and is still used today on select instruments. Thin, porous and delicate, it’s a premium finish prized for sonic qualities that let body woods breathe with their true tonal character, and for an appearance that ages and wears in a distinctive way appealing to many players.